From listening to the show it is obvious that thousands of Irish people are struggling with their finances at present and the fact that the main energy providers increased their rates again on October 1st is yet another blow. To see more of the energy saving to tips Colm Griffin of Purchase.ie mentioned on the show read our blog on ways to counter the price increases and save money. All listeners to the show can use the promotion code Liveline to avail of a 10% discount on our entire product range before October 31st. Simply insert the code at checkout if ordering online or call us on 01 8428187 and quote the code and we will process the transaction for you over the phone. Go to our Shop section to view our product range. See what other people are doing to reduce their entry bill and give your own suggestions for a chance to win some energy saving products. 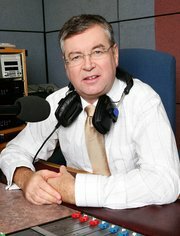 Listen to Colm’s speaking on the Joe Duffy show Interview starts about 3 minutes in. When a plastic tube containing hand cream, face wash, toothpaste etc appears to be at an end just cut off the end of tube and you will get a lot more product out of it before discarding same.